Christopher Wren and Nicholas Hawksmoor. 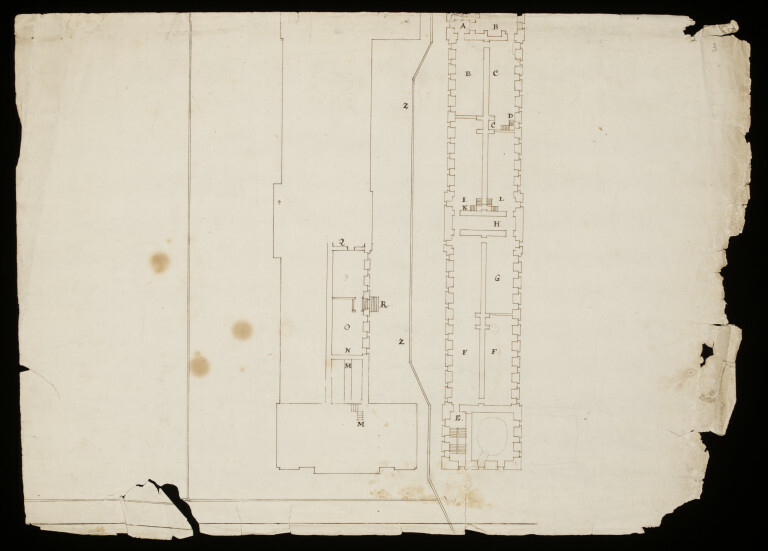 Plan of the basement for the Charles II building at Greenwich Hospital. 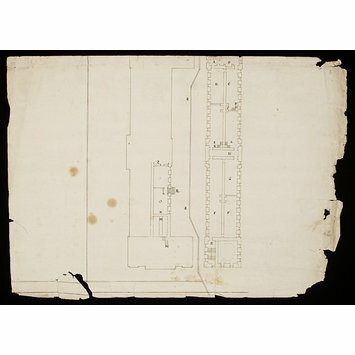 Sketch on back of a block plan for Castle Howard. Victoria and Albert Museum, Department of Prints and Drawings and Department of Paintings, Accessions 1951, London, Her Majesty's Stationery Office, 1962.